Emerging strategic partnerships among K-12 education, government, community-based organizations, higher education, and business/industry are addressing the interactions and interdependence of systems in different domains (e.g., energy, transportation, environment, public health, education) and how stakeholders can work together to tackle the next level of challenges. Smart and Connected Communities focus on improving personal quality of life, community and environmental health, social well-being, educational achievement, and/or overall economic growth and stability. Below are recent and upcoming events that dig deeper into understanding what Smart and Connected Communities could be, as well as ITEST projects that serve as examples of such collaborations across STEM learning communities. (Event) In this STELAR webinar, NSF Senior Advisors provided information about funding opportunities through Supporting Research Advances in Smart and Connected Communities and two of the NSF-supported Next Generation STEM Learning for All Forum presenters expanded on their Forum presentations and considered how ITEST projects may be able to connect to the Smart and Connected Communities work. (Event) On November 9th, 2015 Education Development Center, Inc. (EDC) and SRI International, with the support of the National Science Foundation (NSF), hosted a one-day Forum on “Next Generation STEM Learning for All” in Washington D.C.
(Opportunities) The Center for Innovative Research in Cyberlearning along with KnowInnovation will host a weeklong workshop to catalyze research concepts and partnerships to advance how technology can foster lifelong, lifewide learning across settings in communities. 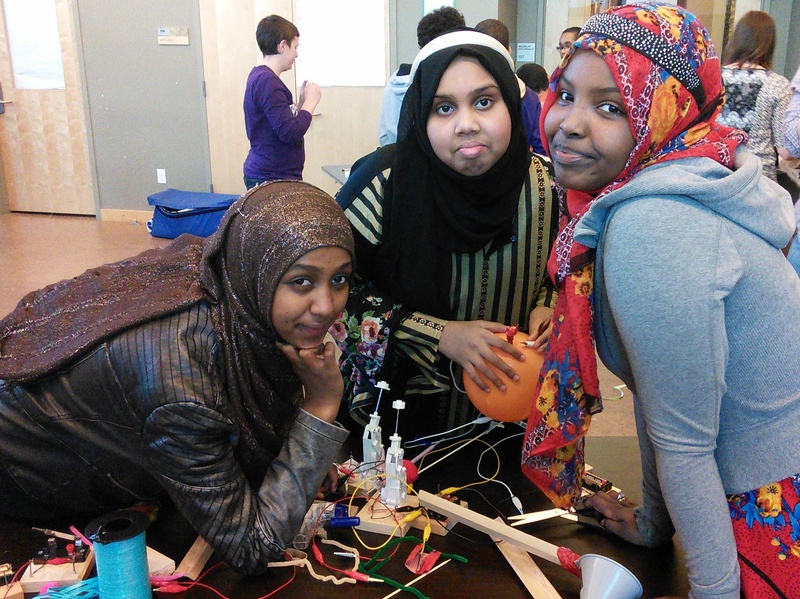 (Project Profile) 124 low income immigrant middle and high school students living in Seattle Public Housing participate in a year long program focused on mentoring, tinkering, and understanding the role that woman and people of color play in STEM fields. (Project Profile) This project will develop and test a model of curriculum and community enterprise to address that issue within the nation's largest urban school system. (Project Profile) This collaborative project between the International Society for Technology in Education (ISTE), Georgia Technical Institute, and Georgia State University will develop and test a model curriculum for grades 3-6 that aligns with ISTE's standards and computational thinking goals. (Project Profile) This project will create a science and engineering technology enhanced learning pathway from school to home that focuses on home energy efficiency. (Publications) This book reports the results of a three-year research program funded by the National Science Foundation which targeted students and teachers from four Detroit high schools and discusses the creation of a Community of Designers-- an environment in which high school students and teachers, undergraduate/graduate student assistants, and STEM area faculty and industry experts worked together as a cohesive team.